As one of the UK’s largest DIY retailers, Homebase sees millions of people each year hit up their website. While many people probably go there looking for some kind of tool or something to fix the hole in the wall they caused while trying a little DIY, Homebase do also have a section that is all about the garden. 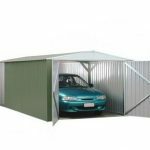 We are not just talking gardening equipment either – Homebase actually have a large selection of sheds, greenhouses and other garden structures. Today we are putting together this Homebase review so you will know just how good their site is and if they should be the place you order your shed from. Homebase is a household name when it comes to retail stores, and even those who normally stay away from DIY will have at least heard of them. If you need something to smash a hole in a wall, set fire to a hedge, put out the fire that you just caused or even just a little something to make the living room nicer, then Homebase will have it. Despite only being around since 2006, Homebase is now one of the largest retailers in the UK, and their recent team up with Argos has seen them become even larger with over 60 million people entering their stores each year. Homebase do have a dedicated gardening section and it is actually far larger than many people think. When it comes to finding a place to keep your tools and gardening equipment safe and out of the rain or having a nice space to relax and enjoy a glass of wine or even a fun playhouse for the kids, Homebase has this and a whole lot more. We really are quite impressed with the sheer amount of products that Homebase have in their garden range. And when we started this Homebase review, it was the large amount of products that first caught our eye. 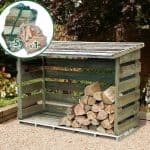 The sheds section in particular is very impressive as they stock more basic sheds such as their 5 X 3 Forest Value Wooden Apex Shed, which is the kind of thing a person just looking for a little bit of garden storage would want. But they also have far more elaborate and dare we say, fancy sheds as well. A great example of this is their high end Mercia Premium Shiplap Shed which is an incredible 12 X 8 and made with some of the finest materials. We feel that when it comes to sheds, Homebase really do have something for everyone. It is not just a large selection of sheds that you will find in the Homebase garden section. They also carry summerhouses, playhouses, greenhouses, gazebos, arbours and general garden storage as well. We really like how they manage to have lower cost structures that are made with more basic and modest materials as well as some that are much more high quality and larger for those looking for something a bit more spectacular. In all we are very impressed with the amount of different products that Homebase have. Plus, as they are a DIY retailer, they have a whole bunch of extras for you to consider as well such as tools, gardening equipment and pretty much anything else you would need to fill up your new shed, summerhouse or child’s playhouse. We know that many of you who are reading this Homebase review are going to be very interested in how much bang for your buck you are going to be getting when purchasing your new shed or dream summerhouse from them. 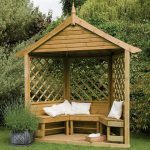 Well we have had a really long look around most of the products in the Homebase garden section and to be honest with you, we feel that not only are their prices are right in line with not just the other large DIY retailers like Wickes and B&Q, but also many of the shed specialists retailers as well. We really did not see anything priced so high that it made our eye bulge out of our heads and cause us to spit our morning coffee or caramel hot chocolate if we are being fancy. Each of the sections that they have feature low and higher priced items so we are pretty confident that no matter what your budget, you will find a shed, playhouse or whatever it is you are looking for here. They have a budget range of sheds in their Forest Value range. 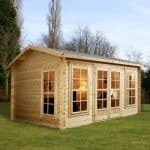 These are smaller, modestly made sheds that are made for those who just want something basic or are on a tight budget and with one of these you can actually add some garden storage for as little as £149.99. Even larger items such as summerhouses can be found for a reasonable price as they have four different ones for under £500. Now of course their Mercia Brighton Summerhouse that costs a reasonable £400 is not going to be as large or made with as high quality materials as their Mercia Premium Helios Wooden Summerhouse which comes in at £1499.99, but it does show that Homebase have garden structures for those who are on a bit of a smaller budget. Here at WhatShed, we love to save money and we really want you to save money too and when we started this Homebase review, we knew that we would take a close look to see what kind of sales Homebase offer their customers. Well, while they do not seem to have as many sales and offers as some of the other large DIY chains, their garden section does make a point to mention what some of the latest and lowest priced items are. For example, as of writing this review, Homebase are showcasing a few different Keter brand garden storage items that are at a good price. So you are always going to see some kind of promotion when you come here. The Homebase site does have a dedicated gardening tab so you will not have any kind of problem finding the gardening items. Interestingly, they do have a section called ‘outdoor living’, which we feel may make some people think things like playhouses and summerhouses would be in this section, but they are actually not. Instead this is for items such as chairs, tables and even hot tubs. We know this is a very minor complaint so we will not be too harsh on them for that. Actually finding the garden section is very easy as it is one of the first tabs you will come across on the Homebase homepage. From here you have a number of different sub sections at your disposal. One thing we really like about the Homebase site is how they let you search for things. Let’s say you click their sheds tab, for example. You can just browse all the sheds right there and then if you want to. Or you can use the different boxes on the left side of the screen to specialise your search. You can pick what style of shed, what it is made from and in some cases even the brand. We really like this as if you are a bit picky and have a certain style of shed in mind, then this does save you having to look through pages and pages of sheds. We clicked on many different items not just from their sheds section, but also their summerhouses, greenhouses, playhouses and pretty much every other section that they have on this site. We wanted to make this Homebase review as fair as possible so we wanted to see what kind of information Homebase are giving their customers about their products. Now when you click on one of their summerhouses for example, you will be given all the information you need, many of them even have a few different pictures that show them off very well. The problem we have is that many of their descriptions are just so sterile and boring. We are not saying that we think Homebase should jazz up their product descriptions with stories of dragons and magical quests, but a little more fun would make their products seem a lot more appealing instead of the by the numbers, rather boring approach they have taken. We feel that there should be far more Homebase reviews on their site as every single product that they have for sale allows customers to leave reviews, but not many of their products actually have reviews written for them. Now a company as large as Homebase, you would expect to have far more customer reviews than they actually do. They do actually seem to be quite transparent with their reviews as well so at first glance it does not seem like they are deleting negative reviews as there are quite a few of them on here. Some of their products will have a good amount of reviews. Their sheds are the most reviewed products on the site, but other structures like their summerhouses for example, have hardly any reviews. As a matter of fact, only 10 summerhouses out of three pages of summerhouses have customer reviews and out of those only one has 4 reviews, the rest all have just 1 or 2. So we feel that Homebase could certainly do more to encourage customer reviews. Let’s give you an example of what to expect from Homebase customer reviews. 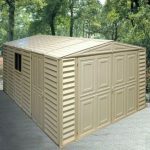 One of their most reviewed items is the 3 X 5 Forest Value Shed. Now currently this has a three star rating from just over 40 reviews. Unlike many other sites, Homebase do not let you click on a star and then see all the reviews of that score. So you cannot click on two stars and then see all of the two star reviews. This is something that we actually wish they had on here as it makes seeing all the positive, negative and average reviews that little bit more easier. While they do not have this, Homebase do allow you to change the way you look at their customer reviews. For example, you can choose to look at them from newest to oldest, highest to lowest or those that are deemed most helpful. Now of course there are glowing 5 star reviews for some products that many people will feel have been planted by Homebase themselves, but we feel the amount of negative reviews that are one here perhaps show that far more reviews are genuine than people may think. So we are not going to be accusing Homebase of only showing good reviews or even posting reviews themselves. What Are The People Saying About Homebase? With millions and millions of customers going through their doors and using their website each year, Homebase are never going to please everyone. So when you do see a large amount of reviews please try and remember just how huge of a retailer Homebase are. 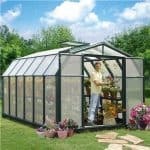 Also while they do have quite the impressive selection of garden structures and accessories, they are not just a garden building retailer so many of the reviews that you will see will not have any relation to sheds, greenhouses or other garden structures. Also one thing that is important to remember when looking for Homebase reviews is that many reviews will be for a particular store. So if a customer had a bad experience at a Homebase in Croydon, for example, that does not mean you will when using their site. Just be sure to look at more than one review and do not just focus on the negative have a look at the good ones too so you get a more balanced idea of what they are like as a retailer. Trust Pilot: With over 18 thousand reviews, Trust Pilot is certainly has the largest amount of Homebase reviews we have ever seen. Just a quick look at their pie chart in the top right of the corner lets you know that this is a retailer who many customers have had different experiences with. Now we like to take each retailer as we find it and try not to compare it with another, but Homebase have far fewer 1 star reviews than the other huge DIY chains. Just under 25 percent, 4477 to be exact, have given Homebase a 1 star review. A lot of the negative reviews on here are about delivery times and customer service and from the pages and pages of reviews that we looked at, many of the issues seem to be down to a lack of communication which is certainly something they need to work on. We are not defending these problems customers have had, but Homebase have responded to many of the complaints on here so that is a good sign. The main complaint of delivery times is summed up by this reviewer called Unhappy Customer (that is actually their username by the way), where they say this: “when asked to choose delivery option 1st available day was in 3 weeks, had to call and complain, finally delivered in 2 weeks (14 days instead of 10)” This is the kind of thing we saw over and over again – people having to wait too long for their order and not being kept in the loop about when it would actually arrive. We try to be as fair as possible here at WhatShed and we must say that Homebase do actually have far more positive reviews than they do negative ones. This of course does not excuse the bad reviews at all, but 33 percent of reviews (over 6000) on Trust Pilot are for 5 stars. As a matter of fact, when you take into account the 4 and 3 star reviews as well, over half the Homebase reviews on Trust Pilot are average to positive. With a retailer as large as Homebase, you are always going to have something of a split opinion as so many people use them. 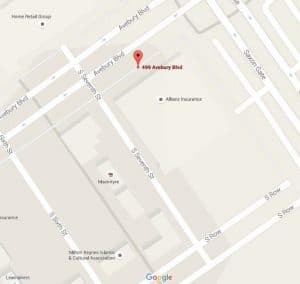 We suggest you take a real good look at not just the 5 and 1 star reviews, but also the ones right in the middle to try and get the best idea of what you will be getting into when ordering from Homebase. Visit website and see reviews by clicking here. 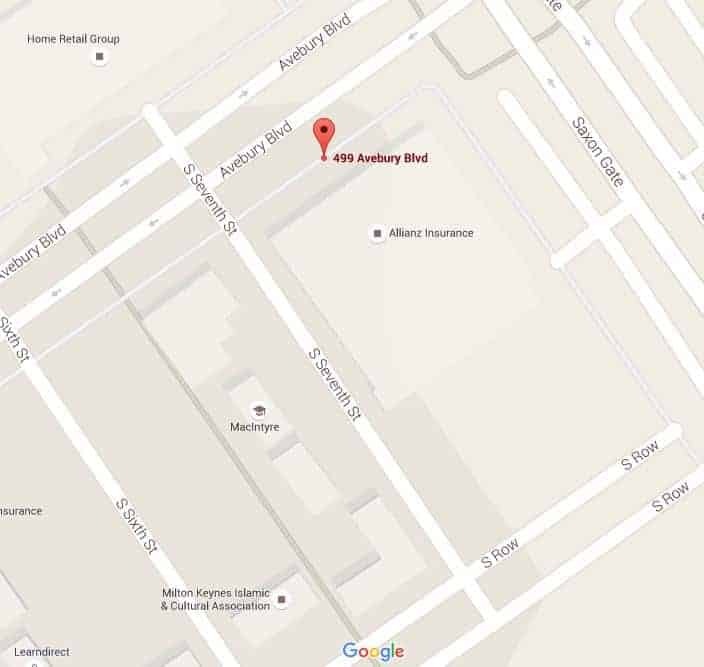 Reviews Centre: Review Centre has 466 Homebase reviews as of writing and here the picture is not as rosy as the one painted by Trust Pilot. While there are nowhere near as many Homebase reviews here, the majority are very poor, with 383 people only rating them at one star. Much like the complaints we saw on Trust Pilot, delivery times and customer service are the main problems. Again we feel that Homebase could provide much better communication when it comes to their delivery. “They say “delivery until 10:30” and it actually arrives way in the evening. Customer services keep you on hold for 15 min, “trying” to help. Couldn’t wait for so long, just hung up. Had to take half day off work to accommodate the delivery slot and now forced to take full day due to the late delivery” is the problem a reviewer called EmilioKirkpatrick333 had and this was typical of many people’s problems with Homebase. Most of the reviews that we saw on Review Centre were not for garden products, but at the end of the day poor delivery and customer service relate to everything so we really cannot overlook that. There really are not too many positive Homebase reviews on this site and when you take into account 5, 4 and 3 star reviews, that does not even make up 100 of the over 400 reviews. We still think having a read of the more positive reviews is worthwhile though as it does give you a more balanced look at Homebase. Visit website and see reviews by clicking here. Facebook: We are not suggesting that you go on Facebook to like pictures of your friends, but actually to see a different side of Homebase. Now of course this is not really a traditional way to see Homebase reviews, but we feel that having a sneaky little look at their Facebook page is a great way to get to know what kind of retailer you are dealing with. Most of the posts on here do not having anything to do with sheds and other garden structures, but some people do use their Facebook page to vent their frustrations and call them out when things have not been delivered on time or even delivered broken. What is interesting about this is that Homebase seem to reply to nearly all the complaints that get thrown their way. Of course this in no excuses someone having to wait an extra couple of weeks for something, but it does at the very least show that they are trying to solve people’s problems. So while you are not going to see any proper Homebase reviews or people scoring them with stars, Facebook is still a great way to know if Homebase are the right place for you to order your new shed from. Visit website and see reviews by clicking here. By far our biggest concern that we have with Homebase as a retailer is their delivery times. The majority of bad things we read while looking at the thousands and thousands of Homebase reviews on the various sites, were people getting messed around with delivery times, things not showing up when they were supposed to and things being wrong or broken. Most of the complaints that we read related to delivery in some way. Of course when you have lots of trucks getting loaded each day and thousands of different products being shipped out problems are bound to occur, but there are a few too many people having issues with deliveries for our liking. Suggested Improvements: As one of the largest national DIY retailers, Homebase are never going to be able to please everyone, but we do think that they could make things a lot easier on themselves and their customers if they did a couple of little things. First thing is the way they handle their deliveries. Of course when you are delivering to thousands and thousands of people per week, screw ups can happen and to a degree we get that, but people having to wait weeks and weeks for their orders is just not on and they really need to come up with a way for faster delivery times or be more upfront with people letting them know that things may take 2, 3 or even 4 weeks for delivery. We are sure people are not going to be happy about waiting so long for a delivery, but if Homebase are more up front with them about it, then it is a lot easier for people to accept. We did read a few reviews where people had issues with the help that they were given or having to wait on hold for far too long. Now we know this is not something that is easy to fix and maybe Homebase feel that they have all the support staff that they need, but they need to do something to make sure that their staff are able to help people a little better. Now to be fair many of the Homebase reviews we read did say that staff really did try to help and we have seen many reviews where Homebase have responded to the reviewer directly, so that is an encouraging sign. Homebase is a retailer that we feel is on the right track and if they do get their delivery issues sorted then they could very well be close to being the top DIY retailer. Many of the Homebase reviews that you find online are actually positive and the ones that are negative we feel could be fixed by Homebase maybe paying a little bit more attention to the delivery side of their business. If you are ordering from their site, then we do not see you having any issues at all as it is very easy to use and there is certainly a lot for you to look at. We are having a hard time thinking of a shed retailer who has such mixed reviews as Homebase. It is like half had an amazing experience and the other half not a good one at all. Well, here at WhatShed we would love to see your own Homebase reviews in the section below. Excellent service in oban store today.served by heather.she was so helpful .